The term “Black Friday” was first used after September 24, 1869 when two investors – Jay Gould and Jim Fisk – drove up the price of gold and caused a market crash that day. The stock market dropped 20%, and foreign trade stopped. Investors and famers were devastated. The second time it was used was in Philadelphia in the 1950s when local police used the term to describe the misery they would experience trying to control the large crowds and traffic because of the shopping, and the tourists in the city for the annual Army-Navy game. By 1961, Black Friday became a thing in Philadelphia. Retailers tried to change it to “Big Friday,” but that never caught on. The term didn’t spread to the rest of the country until the 1980s. That was when retailers redefined the term into something more positive. The concept was “red to black” in an accounting sense. That was when America’s retail stores “finally” turned a profit. Retailers used to have Christmas Parades around Thanksgiving which marked the official kickoff of the holiday season. Thanksgiving was always on November 30th until President Franklin Delano Roosevelt (with Congressional approval) changed it in the early 1941 to the last Thursday in November to help retailers following the Great Depression. That provided retailers a shopping day on Friday. BlackFriday.com says most of the deals are on tablets/laptops/PCs and TVs (27%); clothing (24%); smart home gadgets (15%); gift cards (11%); and travel (8%). National Retail Federation coined the term in 2005 through its division called Shop.org. 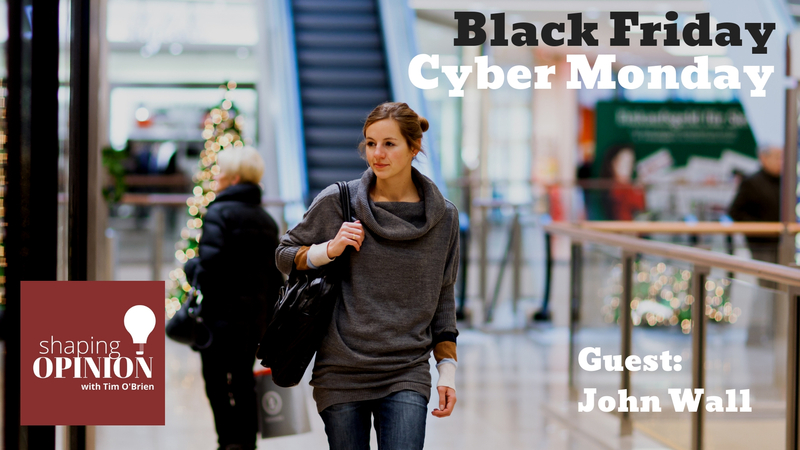 In a news release issued a few days before Thanksgiving, they used the term “Cyber Monday” to tell the story of how 77% of online retailers had seen their sales increase substantially on “Cyber Monday” the previous year (2004). The story goes that they considered calling it “Black Monday” but there already was one associated with a previous stock market crash. The theory behind the plan was the assumption that people had faster internet connections at work, and kids couldn’t see what parents were doing, so parents waited until Monday to do holiday shopping online from work. Mobile traffic increased, representing 47.4% of overall site visits. John Wall speaks, writes and practices at the intersection of marketing, sales, and technology. John is Vice President of Marketing at EventHero. 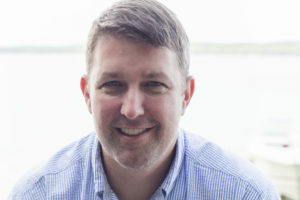 He has held positions specializing in Customer Relationship Management, Marketing Automation and sales support systems at both venture funded and privately held businesses, working with clients such as Microsoft, Oracle, and Salesforce.com.